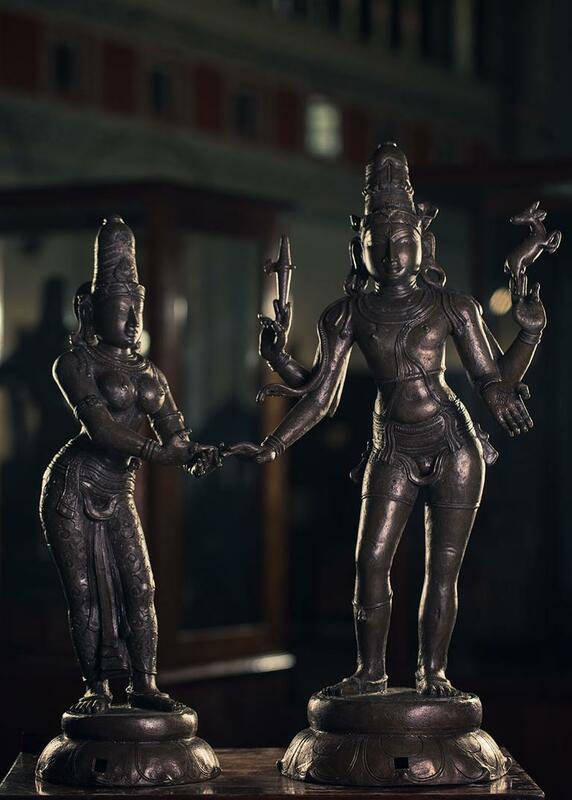 Kalyana Sundara Murthi is a double figure in standing posture. Shiva has four hands, the upper ones holding the battle axe and the antelope and the front right arm is extended to hold Parvati’s hand. Generally Parvati stands on his right. Both the deities are seen wearing their full ceremonial attire. Parvathi’s hand is shown to receive the hand of Lord Shiva and is in dwibhanga pose.